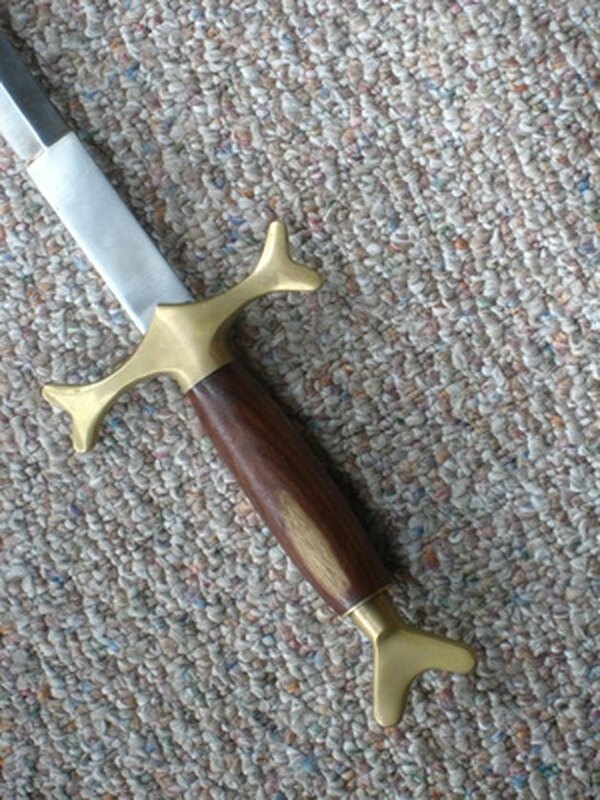 Most modern display swords are composed of stainless steel. Stainless steel is quite durable and more resistant to corrosion than other metal alloys. If you do not use your display sword to cut, it needs only a light cleaning and dusting once every few weeks. Swords that actively are used need to be cleaned more frequently and polished at least once annually to remove minor scratches. Keep your sword well maintained with regular polishing and cleaning. Wipe down your sword with a soft cloth. This is all you need to periodically dust the sword. Also wipe your sword whenever you see fingerprints on the blade. These prints will corrode the metal over time. Stubborn prints can be wiped away with a few spritzes of window cleaner. Oil your sword. Oiling is an important part of keeping it clean and corrosion free. Coat the sword with a thin sheen of light mineral oil once every month. Simply apply the oil to the cloth and wipe it on the blade. Polish your sword with a polishing paste manufactured for use on stainless steel blades. The aficionados at the Sword Buyer's Guide highly recommend Metal Glo, a sword polishing paste made by United Cutlery. Apply a dime-sized drop of paste onto the blade and rub it in. Allow it to sit until the metal becomes hazy (usually around 10 minutes) then wipe the blade clean. Follow the paste's manufacturer's instructions for more specific directions. All metal parts of your sword, including the wire-wrapped handles, always should be covered with a light coating of oil to prevent rust. If you oil or grease your sheath liberally, then you can store your sword in it.